When we went to the Big Bad Wolf last year, we bought lots of books. However, most of them were for Christmas presents. I told myself I'd buy one cookbook for myself. There were plenty of recipe books with beautiful covers. But I end up choosing one with a rather plain cover, because I thought the recipes inside were great and a little different. Commonsense Baking, that's the name of the book. And this is the first recipe from the book that I've tried. My last post was on Pumpkin Muffins, which I guess is pretty common. 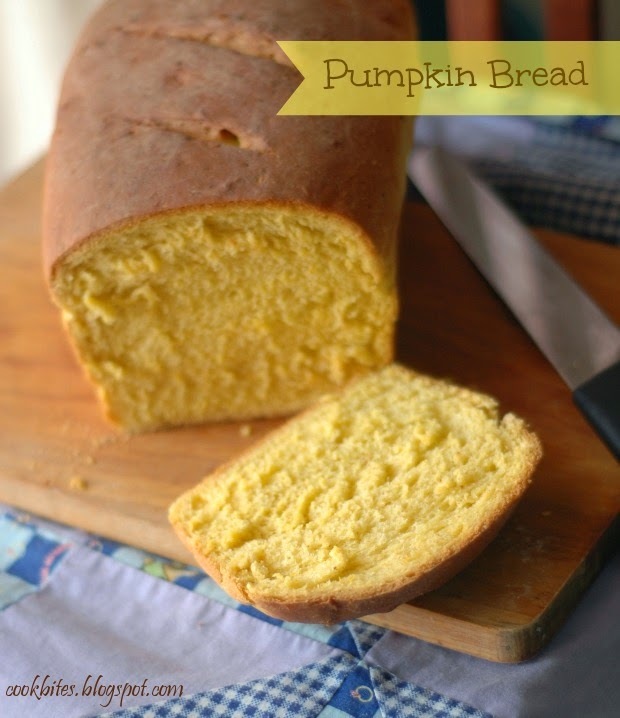 This this pumpkin recipe however, is great and a just a teeny bit uncommon. 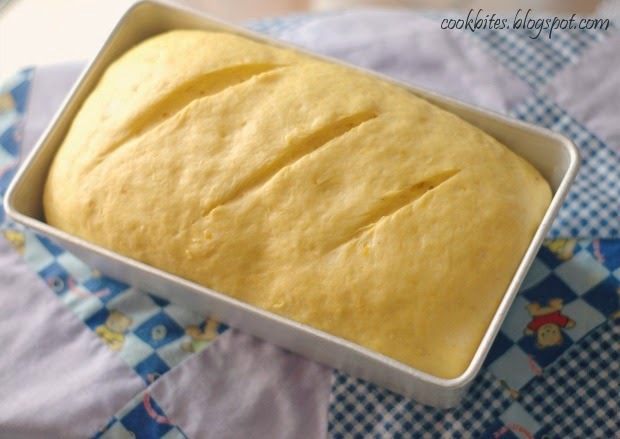 It's real yeasty BREAD, not the cake loaf type of 'bread'. 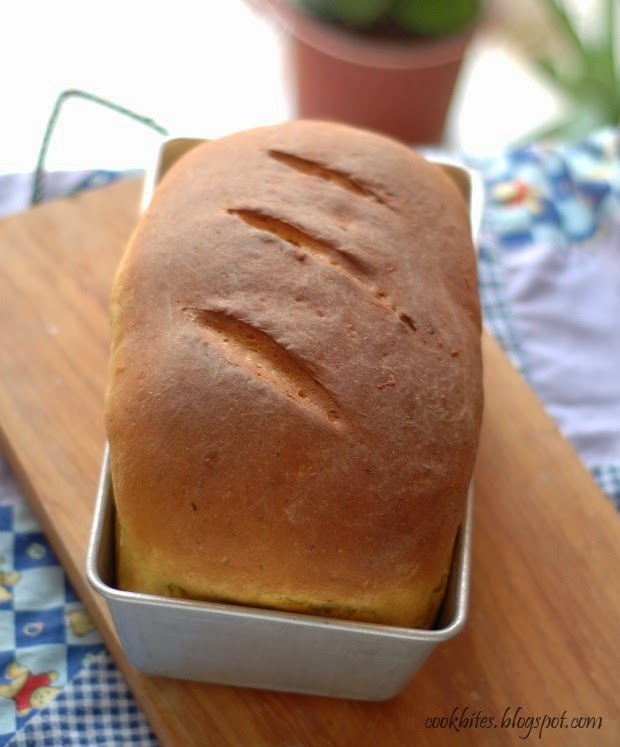 The end result is a lovely bread loaf with a nice golden colour when you slice it. When you see something like this out of your oven, it makes all the hard work worthwhile. Also, when you bake your own bread, you get this lovely bready, yeasty aroma filling your whole house. It beats store bought bread anytime. Besides, I haven't such type of bread sold anywhere. 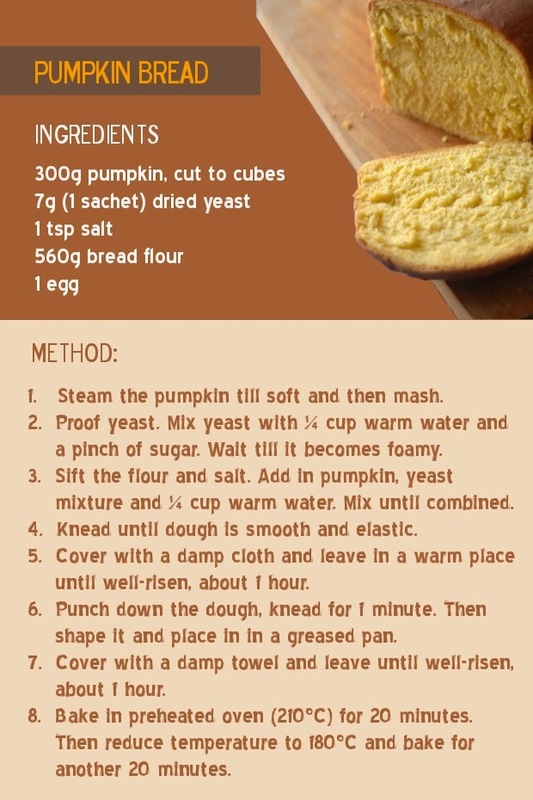 Finally, here's the recipe I'd like to share. I've simplified it from the original. I can't wait to try more recipes from the book. I guess what they say is right; don't judge a book by its cover!